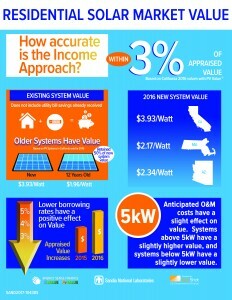 Have you ever wondered what market value a solar system might add to a home or property? A first-of-a-kind study seeks to answer just that. The first edition of the U.S. 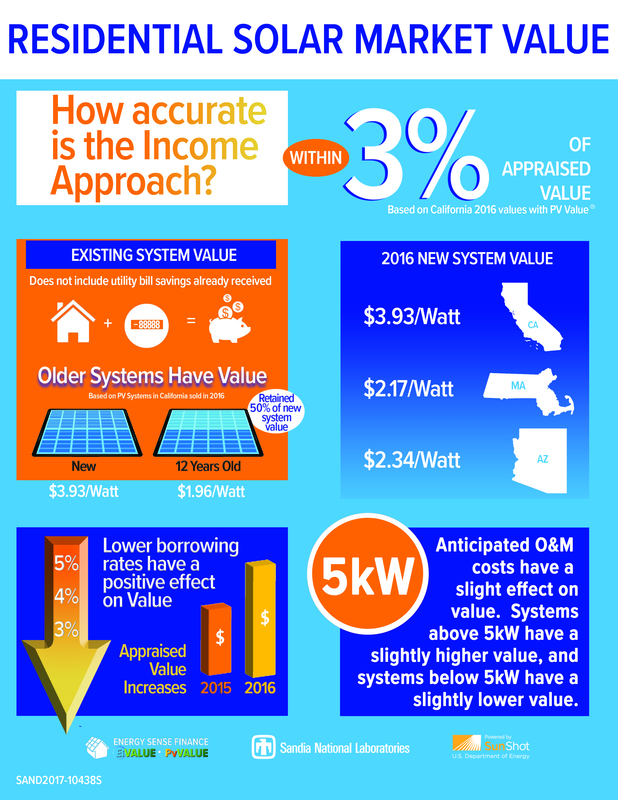 Solar Market Report, produced by Sandia National Laboratories and Energy Sense Finance with support from U.S. Department of Energy’s SunShot Initiative, describes further evidence that solar adds value to real estate. 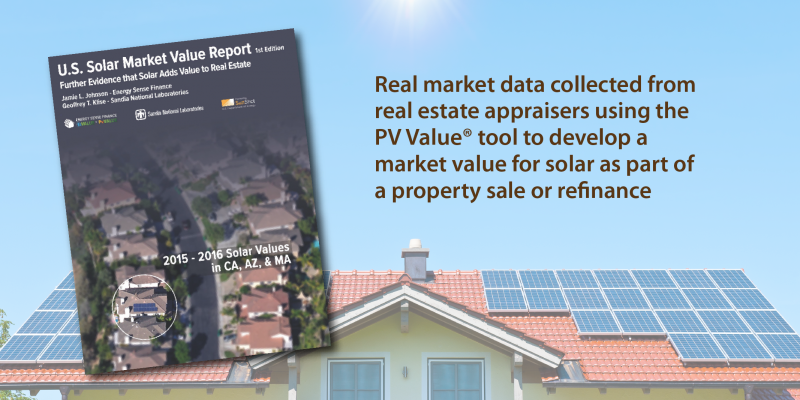 The study presents real market data collected from real estate appraisers using the PV Value® tool to develop a market value for solar as part of a property sale or refinance. Using data collected from 2015-2016 in the PV Value tool, the report focuses on three states with the largest number of transactions recorded in the tool: California, Arizona, and Massachusetts. For more PV publications, visit Sandia’s recent PV Publications.